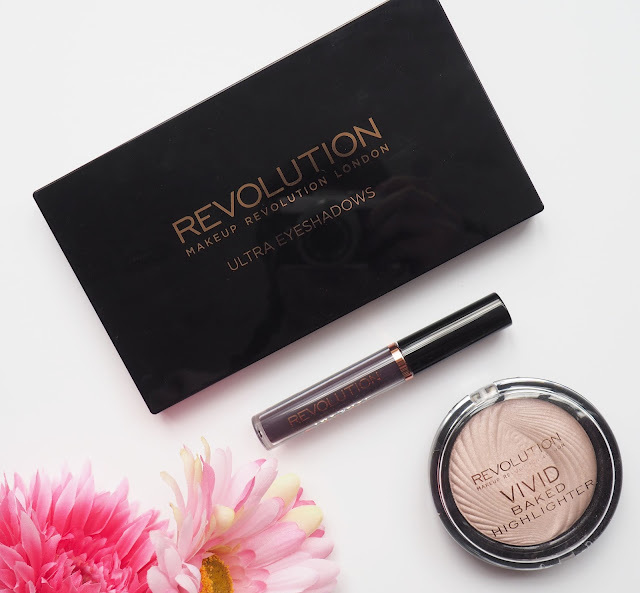 Make Up Revolution has been around in Superdrug for a long time now but for some reason I'd never tested out any of their products so of course I made it my mission to test out a few things. Just choosing things was a mission in itself as I was so spoilt for choice, there were palettes, blushes, lipsticks, highlighters, bronzers, strobe creams, lip liners, setting sprays, you name it they had it. Everything is so reasonably priced as well that it would have been very easy to get carried away. In the end I went for three things- the highlighter in Peach Lights (£3), Salvation Lip Lacquer in Black Heart (£3) and the Flawless Eyeshadow Palette (£8). Lets get the dud out of the way first... I was excited to see they did liquid lipsticks and chose the colour Black Heart because I'd been on the hunt for a very deep purple and this seemed to fit the bill. 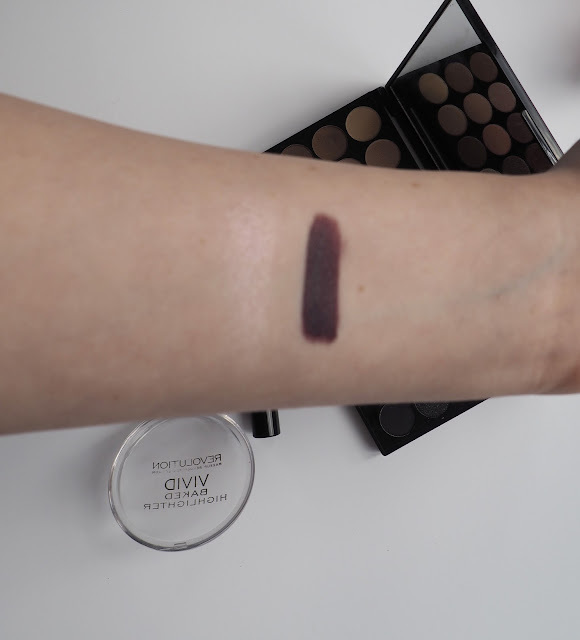 First off the application wasn't actually too bad, it was a little patchy but this seems to be a common thing with dark liquid lipsticks and after a little work I managed to get it to even out so I wasn't fussed by this. After several minutes this product had not dried down at all, it was sticky and felt very uncomfortable on. When I thought it had eventually dried I rubbed my lips together and thats when a whole mess was created. My lips stuck together and this pulled bits of the lippy off my lips so I was left with patches that had no products on whatsoever. Not the desired look usually. After this whole ordeal I thought 'enough is enough' and tried to get the stuff off my face, this was a whole other episode. I used a micellar water that always gets my make up off but this liquid lippie just wouldnt budge. I know I want lip products to be long wearing but I also want them to come off when I try to remove them! I had to resort to really scrubbing my lips which left them red and sore. It's a shame as they had some nice looking colours in the range but I just can't bring myself to try these again. Now I've had my little Moaning Myrtle moment lets get on to two products which I absolutely, bloody love. The first one being the Peach Lights highlighter. I had a feeling I would like this as I have seen these talked about a lot on social media but I still wasn't expecting it to be this good. I'm a little confused about the name because it doesn't look peach, it looks pink, is that just me? But lets push that little detail to one side because I adore this so much I couldn't care less about the misleading name. The pigmentation of this is great and it last for such a long time on my skin. 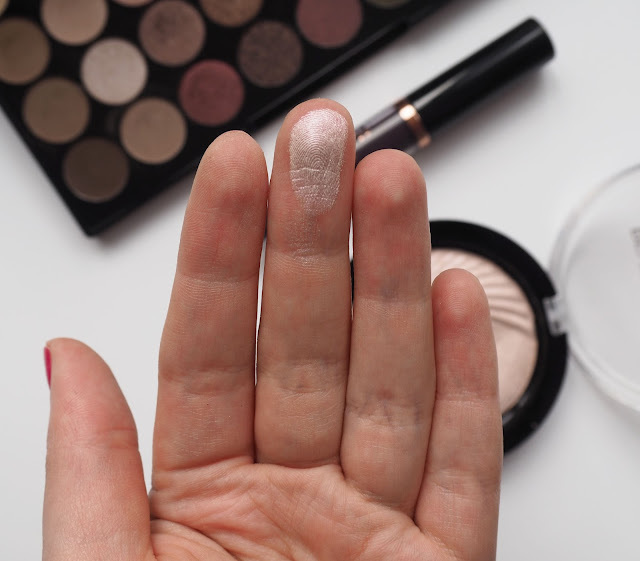 It's different to other highlighters I own because it has an almost 'icey' look to it, the colour is so light that it really stands out, on a night out this would look amazing. Having said that I've just been wearing it daily to work despite the intensity, meh, nothing wrong with glamming up for work! 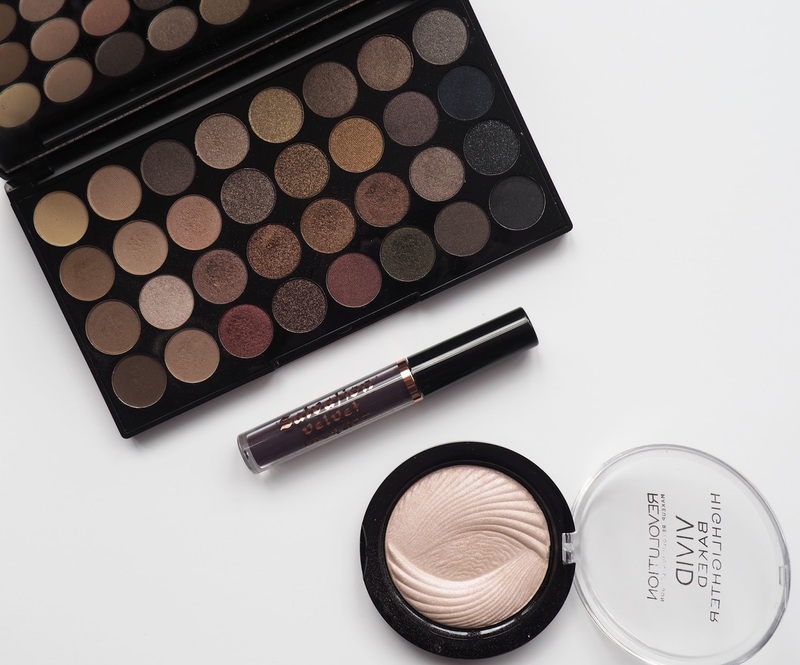 There were loads of great looking palettes to choose from but I decided to go for the Flawless Eyeshadow Palette as it was quite neutral based, with a few pops of colour and mixture of finishes. You get 32 shades meaning you can create endless looks. 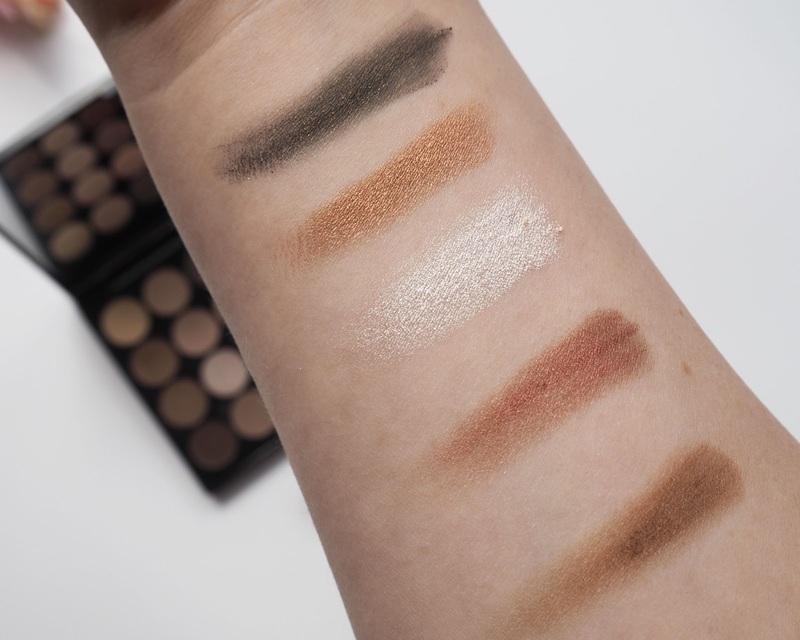 I was pleasantly surprised by the formula of these shadows, I do admit they are a little on the powdery side so it's probably best to do your eye makeup first when using these to avoid messing up your base. However, they are very pigmented and I found them pretty easy to blend too. They also last so well without creasing which is something I always suffer from. I won't go through each colour individually as we'll be here all day but some of my favourites are 'Smudge' a matte brown shade great for the crease, 'Red Night' which is a cranberry type shade, 'Medal' a shimmery bronze shade, 'Highlite' which is a shimmery light pink colour and 'GreenStars' a deep green, olive colour. The two amazing products I got far outweigh the disappointment of the dodgy one. I would 100% recommend the highlight and eyeshadow palette if you're looking for some good quality alternatives but affordable make up. 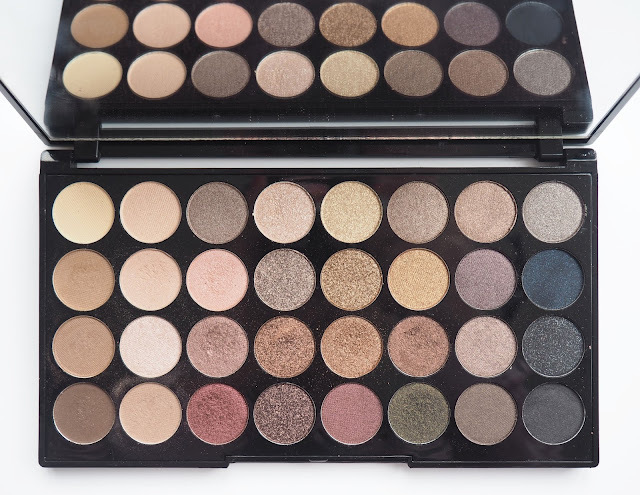 Make Up Revolution have some other great looking palettes which I'll be investing in soon. They had a few with much brighter colours which I think would be great for experimenting with new looks as they're such a steal. 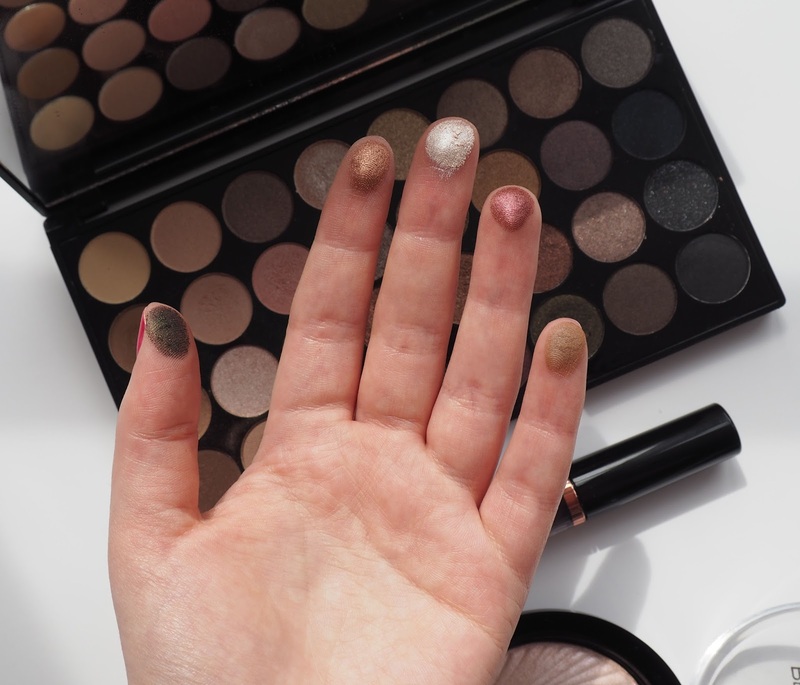 What products have you loved or loathed from Make Up Revolution? I cannot believe you had to scrub your lips to remove it, no way!